Jesus still holds the future … Jesus still holds my future … Jesus still holds your future. Let us also not forget, perhaps even more importantly … Jesus still holds the present. I wanted to share with you something that would tell the story of Jesus, past, present, and future, and, most importantly, our part in it. So, I turned to Modern-Day Psalms, to hear the story of Jesus, and my part, your part, our part, in that story. Of all the blessings of The Season,” perhaps there is none so great as just taking the opportunity to reflect, to look back at how blessed we have been, how blessed we are, and how, with God’s continued favor, we can look ahead to even more blessing on our lives. The words of the original poem really struck me, and then, after I read about how the poem came to be, with what Mr. Longfellow was personally going through, it added a new level of respect and admiration for the poem, and the man who wrote it. I deeply enjoy being inspired by the stories of people who have overcome great odds, who have persevered during the toughest of times. 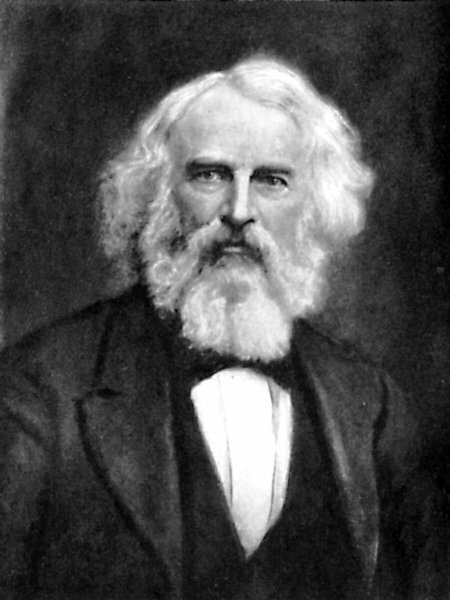 I intend to share a biographical piece on Longfellow soon, to give more detail on the events of his life. During all the “Happy” during this Season, please … please … let us not forget those who are facing this time with great sadness and despair. Especially for those who have lost loved ones, this is not the happiest time of year … but, the saddest. For those who are struggling with grief, for those who can’t be with their loved ones (Military Families, for example), this is the toughest of times. On Christmas morning in 1863, while sitting at his desk at the Craigie House in Cambridge, MA, Longfellow was inspired to write a poem as he listened to the church bells pealing. Their constancy and joyous ringing inspired him to write, in spite of his sadness. The poem gracefully captures Longfellow’s anger about the war, and his sense of hopelessness, but also expresses his faith that, in the end, good will can prevail. “Christmas Bells” was first published in February of 1865, in Our Young Folks, a juvenile magazine published by Ticknor and Fields. It was not until 1872 that the poem is known to have been set to music, by English organist, John Baptiste Calkin. John Caulkin was a famous English composer who set the lyrics to a gentle, melodic tune which is reminiscent of bells ringing. The carol is entitled “I Heard the Bells on Christmas Day.” You’ll note that, for the Christmas carol, the two verses specifically referencing the war were removed. It has become a favorite Christmas carol both in England and the United States. I was looking for a “new” (to me) Christmas story to share with my students at school, and I found this one, which I’d like to share with you, and your family. The story is “A Wish to be a Christmas Tree,” and I feel that you will be touched by the message here, as well. The artwork is absolutely stunning, the entire work is done in rhyme, and its message is timeless. I also love the fact that the book is a husband and wife collaboration, or, maybe that should be a wife and husband collaboration. The text is written by Colleen Monroe, a talented and gifted writer, and the illustrations are done by her husband, wildlife artist Michael Monroe. They live in Michigan, where they own and operate an artist’s studio. The story reminds us all of how important each of us are … even though we may not think so. It reminds us of the impact each of us has on those around us … That we may not be a successful “this” or a successful “that,” but that in no way diminishes our importance to the world around us. How our actions, everyday, affect those around us … we may not notice the influence we have on others … but “the others” notice it … That it is not just at a certain time of year we are important to others, but the importance of being appreciated for what we do … all year long. I must admit I do spend more time thinking about family and friends during this time of year. Of all the blessings on earth which God bestows upon us, these two must be at the top of the list. From the same company, yes, Guinness. I explained my feelings about sharing that video when I posted it, but I was not prepared to find another commercial with such a huge impact and message … from the same company. Yes, maybe I wish that Pepsi and Coke (or Cream Soda or Birch Beer) would make commercials like this, but, the fact that it was a beer commercial never really sank in, just as in the other “Veterans Salute” commercial. It reminds of a time when I was watching a movie with a Pastor, and, when the movie was over, I commented how I did not like the bad language in the movie. The Pastor told me that he had not even noticed the language. It wasn’t that he was exposed to so much bad language that he didn’t notice … it was that he was so wrapped up in the message and story in the movie … So, I guess that’s the same way about this commercial. I discovered that the commercial first aired well over a year ago, but I never saw it. I’ve always been a fan of wheelchair basketball, though I’ve never seen it in person. This commercial hit me immediately, but I was unprepared for the way it ended. Totally. It was like one of those twist endings at the end of a movie that you never saw coming. This was exactly the same way. I was stunned. It really made me think of the value of friendship. And, I mean true friendship. Those very few, trusted people who know everything about you … and, still like you. The definition of “friendship” is this: “”The relationship between friends; kindness or help given to someone.” Sorry … I just can’t think of a better visual display I’ve seen, which personifies the meaning of true friendship, than what I saw at the end of this commercial. “And the LORD turned the captivity of Job, when he prayed for his friends: also the LORD gave Job twice as much as he had before” (Job 42:10). That tells me pretty much enough how important friends are to us … and, how important we are to them. Many times we have heard preachers mention the verse which begins, “Iron sharpeneth iron,” which is from Proverbs 27:17. But, how often do we hear the way that verse ends? Man!!! It is STILL coming down out there!!!! One major benefit of a good snow cover is that snow functions as an excellent insulator of the soil. Without snow, very cold temperatures can freeze the soil deeper and deeper. This could lead to damage of root systems of trees and shrubs. The insulation effect of snow also helps protect perennials, bulbs, ground covers, and strawberry plantings from alternating freezing and thawing cycles. Without snow, milder temperatures mixed with the sun, could warm the soil surface, leading to damage from soil heaving, which can break roots and dry out plant parts. Snow also helps conserve soil moisture over the winter. On days when the snow melts, it provides needed water. Lakes, rivers, streams and ponds benefit from snow by having their water supplies increased. When drought plagues an area, snowy winters can change the course of dry seasons. The entire ecosystem is maintained when water supplies are sufficient. Snow is such a good insulator that some animals dig snow caves in which to hibernate. New snow is composed of a high percentage of air trapped among the accumulated snow crystals. Since the air can barely move, heat transfer is greatly reduced. Fresh, uncompacted snow typically is 90 to 95 percent trapped air. Many animals take advantage of snow’s insulating qualities, and burrow into the snow to hibernate through the winter. Guess what? Snow reduces the insect pest population. Many damaging insects are unable to survive snow and cold. I’ve always heard that it was good when it snowed because snow is called a “poor man’s fertilizer.” Is this true? Aside from water, nitrogen is the only element that snow puts back into the Earth. However, lightning and rain actually emit a greater proportion of nitrogen than snow. What makes snow good for the soil is that it feeds nitrogen into the soil at a slower and more even rate (through melting) than a thunderstorm, which delivers precipitation at a more rapid rate. So, what do you say now? Gotta love that snow! And, in whatever weather we are in. God won’t place you where He can’t protect you. God won’t place you where He won’t protect you. God won’t place you where He can’t bless you. God won’t place you where he won’t bless you. Regardless of … and, let’s face it …sometimes, because of … the weather.